By the year 2050, the Brazilian population over 60 years old is expected to grow from 24 million to 66 million. 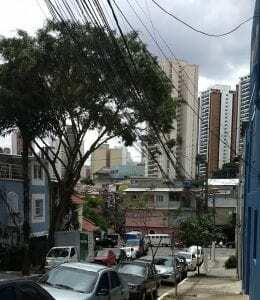 Fortunately, my first impression of the District of Vila Mariana, in São Paulo city, where I have been conducting ethnography since January, is that there are already innumerable initiatives for the elderly, both public and private. 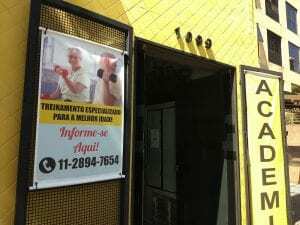 In addition to public health units, there is the AME-IDOSO for example, a centre dedicated exclusively to the care of people over 60, taking referrals from other health units in the city of São Paulo. It provides examinations, medical appointments and treatments, as well as activities such as dance classes. Just a few blocks away, you can find the Elderly Coexistence Centre (NCI), also subsidised by São Paulo City Hall. If you are 60+ and live in the Vila Mariana District you can join a large number of activities such as knitting and crocheting, fitness, circular dancing, senior dance, manual work, pilates, painting on canvas, chanting, memory games and rhythm dancing. I went there the week before the carnival. When I arrived, it was snack time. While one group were doing a dance class in the lounge integrated into a beautiful garden, another group were chatting and eating, all dressed up in traditional carnival ornaments. The worker told me that the menu takes into account the food restrictions and needs of the participants. 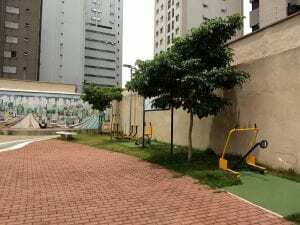 During this first month, I have already mapped five squares in the neighbourhood, all of them with gymnastics equipment, in another São Paulo City Hall initiative for people over 60 called “Longevity Playground: Happiness is Ageless”. But if you keep walking you will also see many gyms offering activities for the elderly with special prices, not to mention Aqui Fitness, which has a program of physical activities developed by a geriatrician. 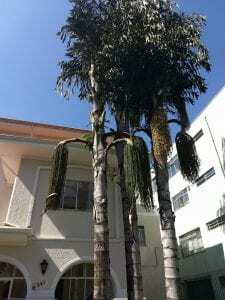 And just a few minutes away, you can also exercise your mind and improve yourself; the Nossa Senhora da Saúde Parish offers an adult literacy course (20.4% of the population of Brazil over 60 is illiterate), language classes and a Whatsapp course, especially for people over 60. One of my ethnographic challenges is to investigate how the ageing population in the neighbourhood perceives these initiatives. Do they really work? Do they work for everyone? Could appearances be deceptive? This is an important point because Vila Mariana District is far from being a utopia. You can choose to see just the modern buildings that are rising everywhere among the two storey houses. But you will have some difficulty ignoring the Mario Cardin Community, a favela where more than 500 families live in precarious conditions, or the homeless people living on the streets. But for the moment let us take this apparent wealth of amenities at face value. Actually, this raises a rather different question. Do Brazilian people have to get old before they experience something approaching the support and solidarity of an egalitarian state?